The HYDROVANE is a totally independent self steering system. The simplicity of a vane driving its own auxiliary rudder is unique. In addition to steering your boat without power or complaint, the HYDROVANE doubles as an emergency steering system that is ‘in place’ and ‘ready to go’. Buy Rope offers a wide variety of rope for both commercial and residential applications including marine applications. Any rope order can be cut to length and spliced. They also sell rope hardware. Members receive a 15% discount on website orders. SSCA members receive a 10% discount off most in-store purchases at Cater Marine - the largest chandlery north of Auckland. EXTEND Your Step. Is your boarding ladder too short? Are you tired of using your knee to make that first step? Are you a little older, a little heavier, and don’t bend the way you use to? The Extend Your Step is what you need. Find out how on the SSCA Special Offers Page. 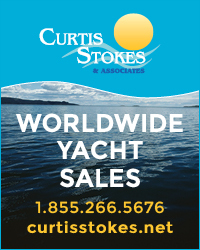 Our business is cruisers working for cruisers; we invite boats to raft up wherever we are and will customize renewable energy packages and or electrical layouts and a host of other work. SY Tranquility has an on board workshop and a lathe so we can custom make anything needed. Trans-Marine pro will offer a 10% discount to SSCA members and free consultations, we also have no problem coming to cruisers (might take a few days depending on location) and we always follow up on any warranty issues. We are easily contacted too. Associate member Rob Turkewitz is offering a 10% discount to all SSCA members on his unique product, the WhirleyBird Repeller, which discourages birds from perching and roosting on boats. 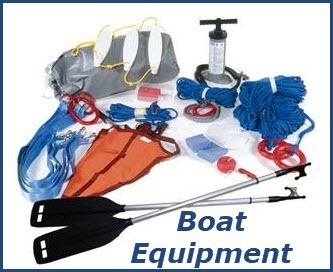 It's been tested by the USCG and is used on navigational aids as well as in vineyards. Cordless winch handle - electrify all your winches! SSCA MEMBERS CAN NOW PURCHASE THE WINCHRITE AT THE BOAT SHOW PRICE OF $549. And shipping within the U.S. is FREE! Login to the SSCA Members' Section and click on Special Offers to take advantage.